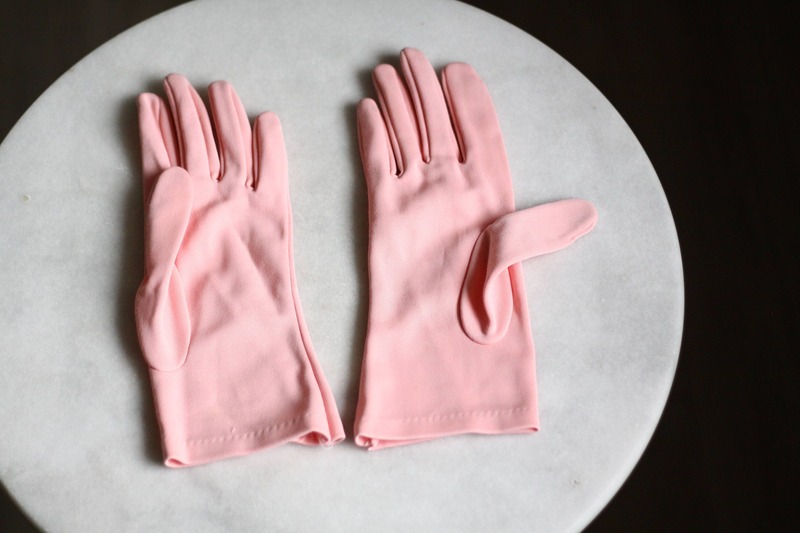 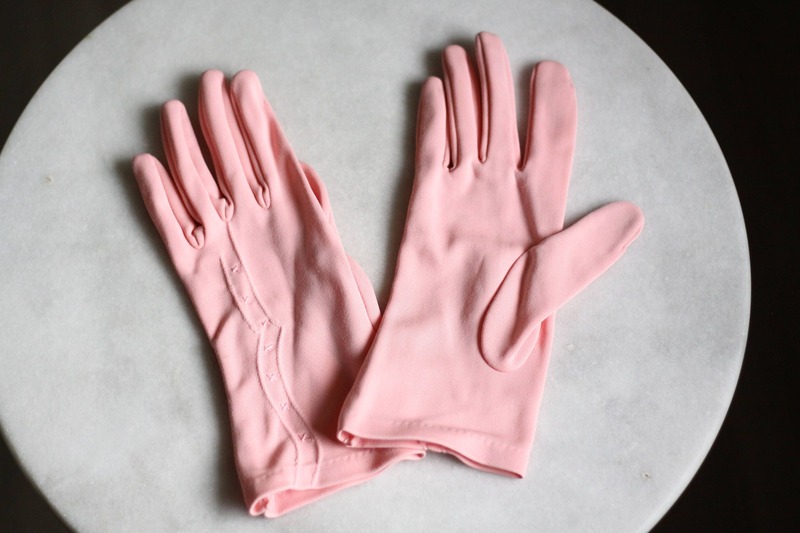 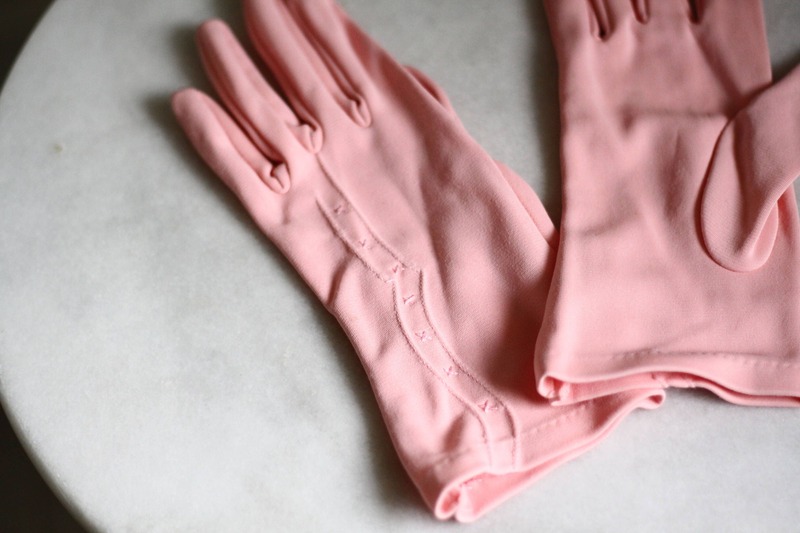 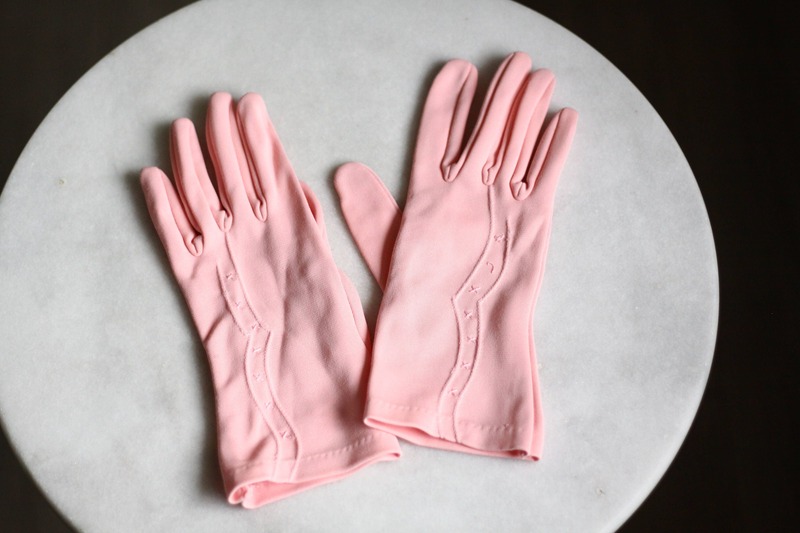 1960s soft pink cotton gloves. 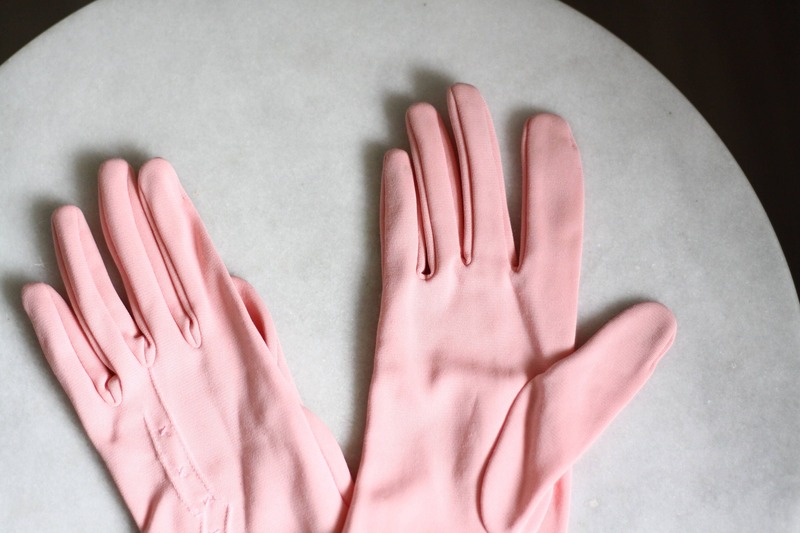 Cocktail length with just the right amount of detail. 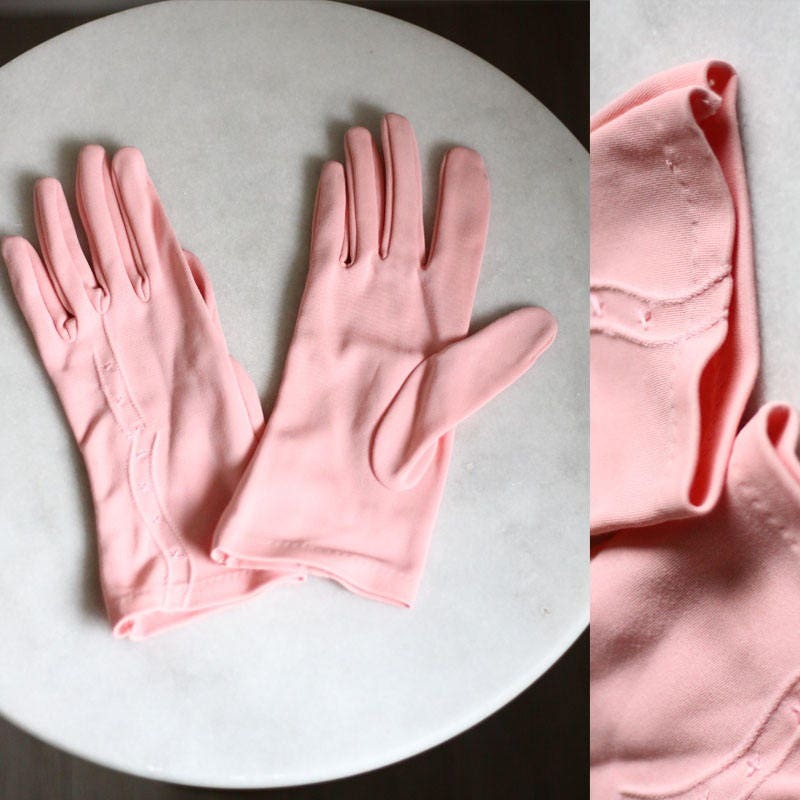 Subtle stitching running up the top of the glove to the ring finger.